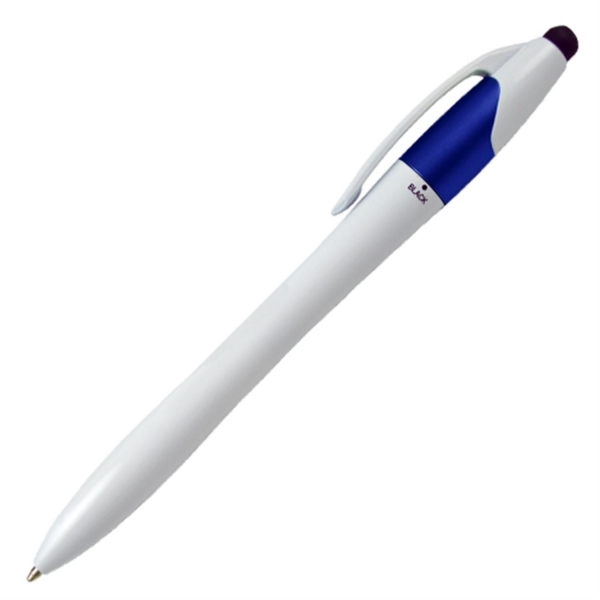 This European style ballpoint Pen has a sleek white barrel with 3 Ink Colors & Stylus on the end for all of your touch screen gadgets. 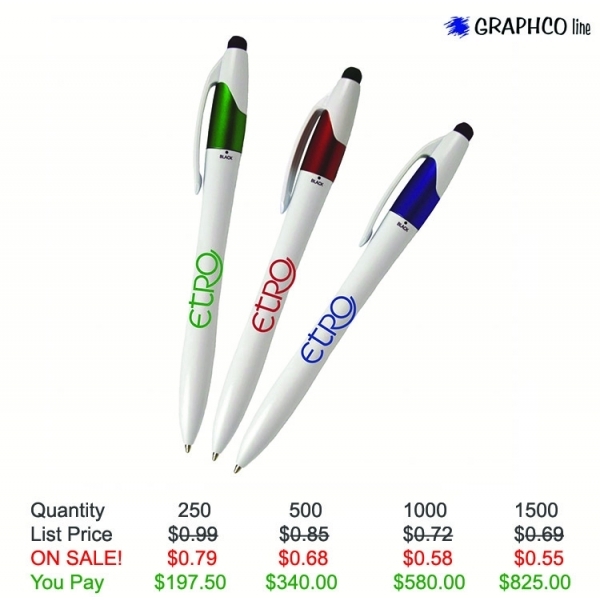 This twist action pen is a one of a kind, or should we say a 3 of a kind for all of your promotional needs. Save on this custom pen with FREE setup, FREE rush service, FREE artwork and FREE shipping. Imprint Color: Blue, reflex blue, Navy, red, green, Black, Dark Green, Purple, Violet, Maroon, yellow, silver, Gild, Orange, Teal, Brown, pink..
Color Ink/Point: 3 Ink Colors, Red, Blue, Green, with medium point.